10/07/2017 update! group picture, download it here. 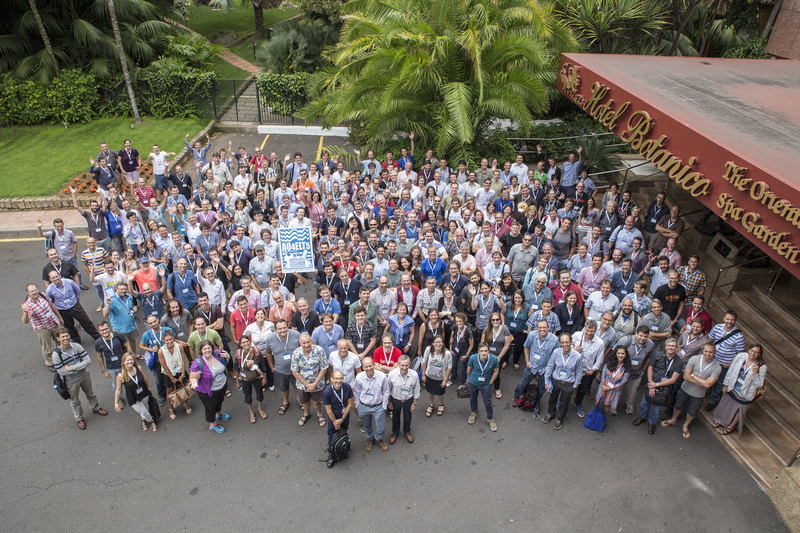 The fifth Adaptive Optics for Extremely Large Telescopes (AO4ELT5) meeting will be taking place in June 2017 at the Hotel Botánico in Puerto de la Cruz, Tenerife. 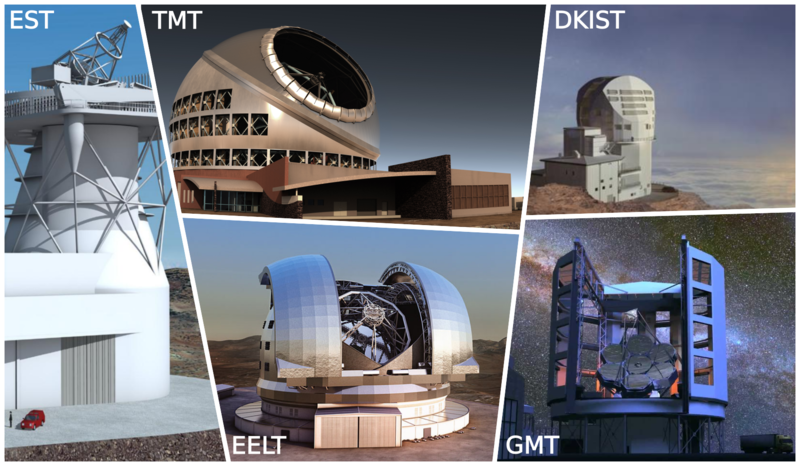 One of the major challenges that face the future extremely large aperture telescopes (ELT's) is adaptive optics, and the goal of the meeting is to gather specialists to review and discuss the latest developments on this field. The topics of the conference include ELT’s current design in terms of AO systems, related instruments and science goals, and also pathfinder projects planned or implemented on existing telescopes, including solar telescopes, which provide relevant results for the next ELT’s design phase. Special attention will be given to new developments in several areas, such as mirrors, laser technologies, wavefront sensing and control, and new post-processing tools required to increase the image quality and increase the scientific return of the instruments. We would like to thank the sponsors of this meeting for their support: Alpao, Andor, Boston Micromachines, CILAS, ESO/EELT, First Light, GMT, IrisAO, NSO/DKIST, Nüvü Cameras, PI, TMT, Toptica, EST, IAC and Ayuntamiento del Puerto de la Cruz. Solar AO: daytime atmosphere characterization, extended source wavefront sensing and alternative sensing methods, image quality parameters etc. Site testing and characterization, including the atmosphere, sodium layer, dome seeing etc. In addition the Instituto de Astrofísica de Canarias (IAC) will be hosting the 12th Annual Workshop on Laser Technology and Systems for Astronomical Adaptive Optics, a two-day workshop that will be held on Friday 23rd and Saturday 24th of June, 2017, in the IAC headquarters at La Laguna, Tenerife, Canary Islands, Spain.